Samford University’s Brock School of Business was recently recognized by the Sales Education Foundation (SEF) as a “Top University Sales Program” in the foundation’s annual magazine. Noted for its low faculty-student ratio, quality internships and advisory board, the program has made SEF’s list in each year of the program’s existence since it began in 2015. Evaluated on several metrics, Samford’s sales program is one of the few programs in the country to require both a Customer Relationship Management (CRM) course and a sales internship. Emphasizing practical skills, the CRM course provides students with hands-on experience with both Salesforce.com and HubSpot – two of the industry’s leading CRM tools. 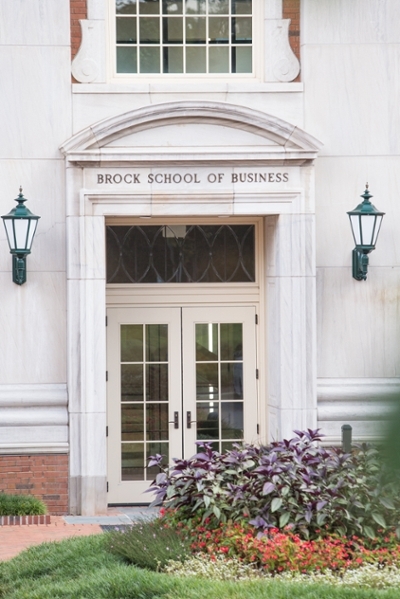 The Brock School of Business professional sales concentration is a four-course sequence designed to hone students’ communication skills, enhance professionalism, and deepen their understanding of the dynamics of the buyer-seller relationship. Using cutting-edge technology as well as traditional sales education methods, the curriculum is continually revised to ensure it focuses on helping students develop the skills and attributes demanded in today’s sales landscape.